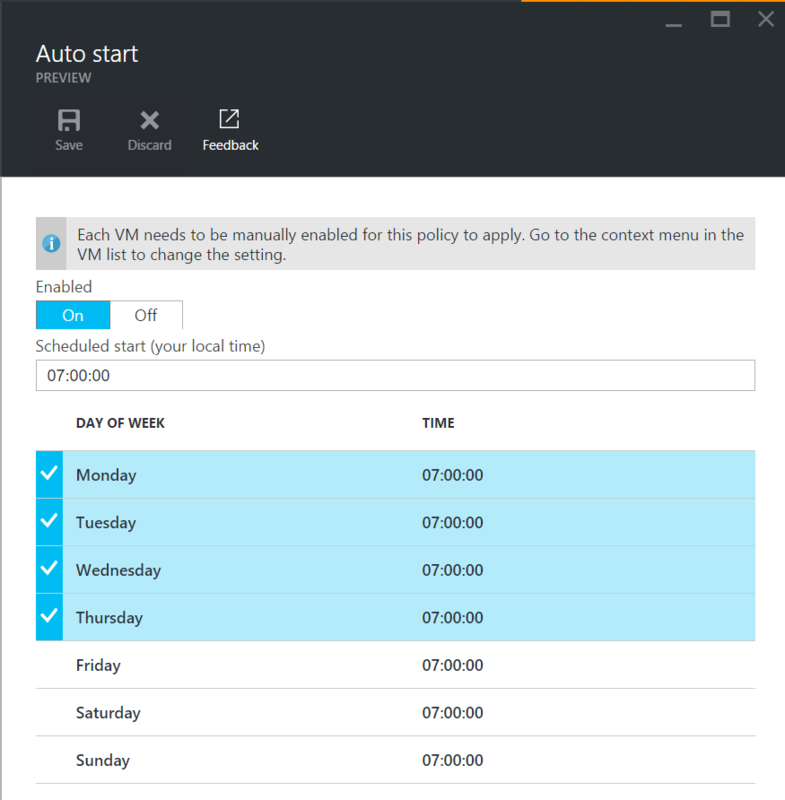 In addition to scheduling automatic shutdown for the VMs in a lab, you can use Azure DevTest Labs to automatically start selected VMs at the scheduled time. Along with setting the time, you can set the days of the week for the auto-start. Unlike auto-shutdown, where all the VMs are included when the policy is turned on, the auto-start policy requires you to explicitly select a VM and apply the policy from its context menu after you enable the policy. That way, you won't easily run into the situation where unwanted VMs are accidentally auto-started and cause unexpected spending.